As a gift for yourself or for someone close to you, chocolates are a wonderful way to savor special moments. Beautiful and delicious, even without a greeting card, a box of chocolates says, "I care about you." One of the things I love about travel is discovering new culinary ideas. Traveling around Lake Geneva, I researched how the Swiss make their extraordinary chocolate. We visited dozens of artisans whose passion for chocolate led them to create their own unique, handmade confections. Sharing an insistence on using quality ingredients, all their chocolates were different, reflecting the personality and palate of the individual chocolatier. I combined the lessons from Switzerland with my desire to reach back into my memory for flavors and textures I loved as a child. 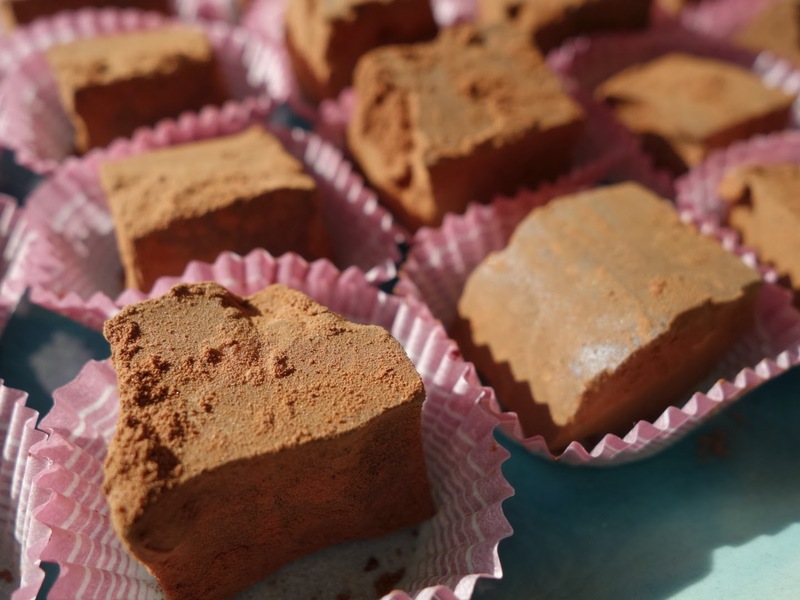 The result is a deliciously unique chocolate, a truffle with layers of flavor and the sweet crunch of caramelized almonds. 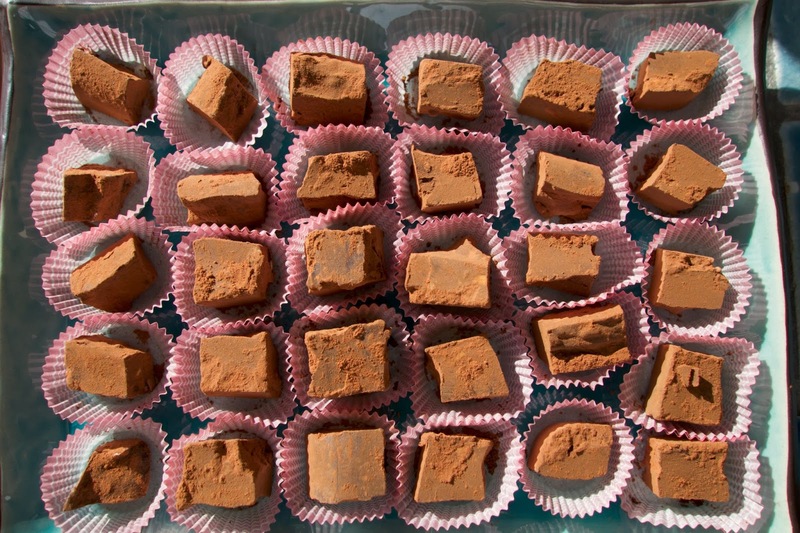 I would love to make you my handmade chocolates. $18.00 a dozen, available in one and two dozen sizes. They can be sent anywhere in the United States for an additional charge. Please email me so we can talk about what you want to order. Looking forward to hearing from you.